1) Association of Coffee Drinking With Mortality by Genetic Variation in Caffeine Metabolism: Findings From the UK Biobank. JAMA internal medicine. 2018 Aug 01;178(8);1086-1097. doi: 10.1001/jamainternmed.2018.2425. 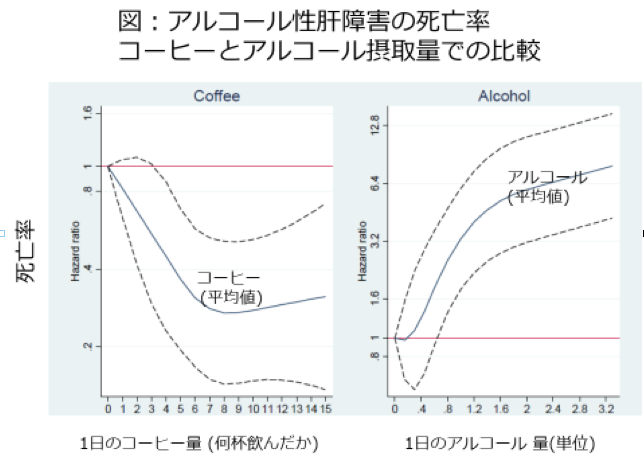 2) Coffee and wine consumption is associated with reduced mortality from alcoholic liver disease: follow-up of 219,279 Norwegian men and women aged 30-67 years. Annals of epidemiology. 2018 Nov;28(11);753-758. pii: S1047-2797(18)30539-8. 3)Effects of Coffee and Tea Consumption on Glucose Metabolism: A Systematic Review and Network Meta-Analysis. Nutrients. 2018 Dec 27;11(1); pii: E48.